This has been a very busy and fun-filled month! Our reading month theme is famous authors. 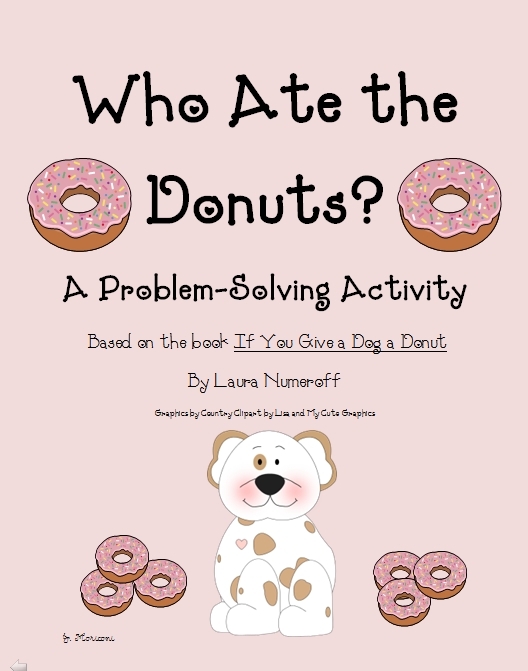 First graders have chosen Laura Numeroff. Each week our lessons and projects are themed around one of her books. Here are pictures of some of our fun activities! It took a lot of time and plenty of donations and volunteers to plan all of this, but it has been well worth it! These are the special times in school that the kids are sure to remember! 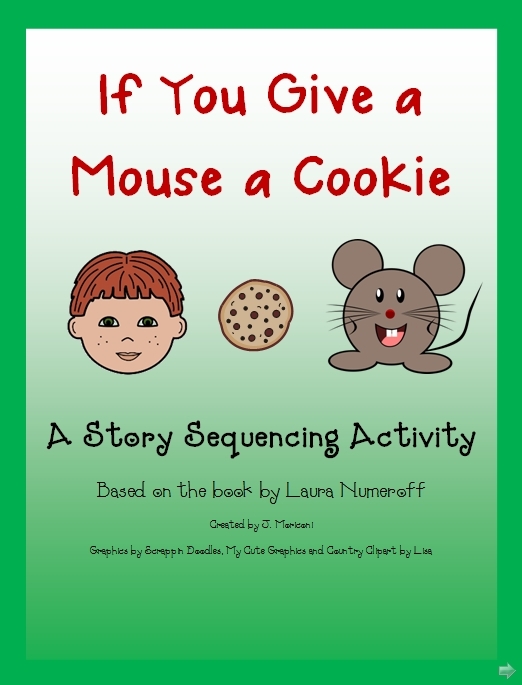 Our First Laura Numeroff story was If You Give a Moose a Muffin. We tasted four different kinds of mini-muffins and then the students decided which muffin flavor was their favorite! The kids just loved this! Here is our muffin bulletin board and project! We wrote words to describe our muffins! These are a few of our shoe box dioramas. 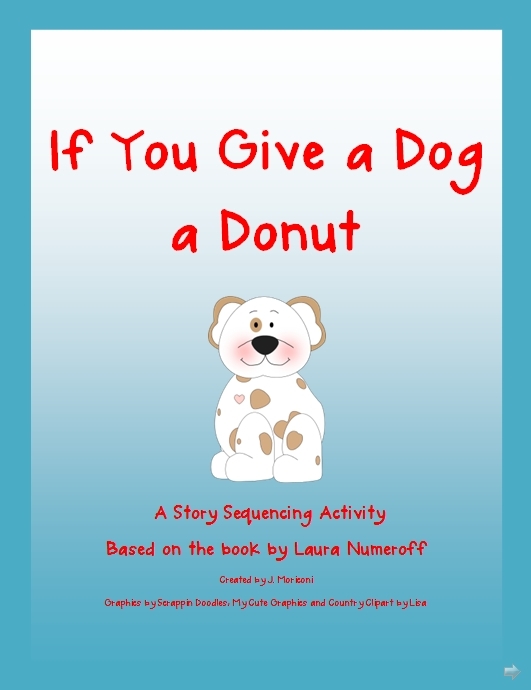 This is our If you Give a Dog a Donut shape book. Every Friday this month is treat day. We ordered sprinkled donuts for the children to enjoy. If you give a python a stick he'll swallow it. If you give a unicorn a crown he'll ask for a wand. If you give a bunny a french fry he'll want some ketchup to go with it. The kids had a great time at our pajama party pancake pig-out! These are our pig party decorations. Mrs. G came up with this idea! 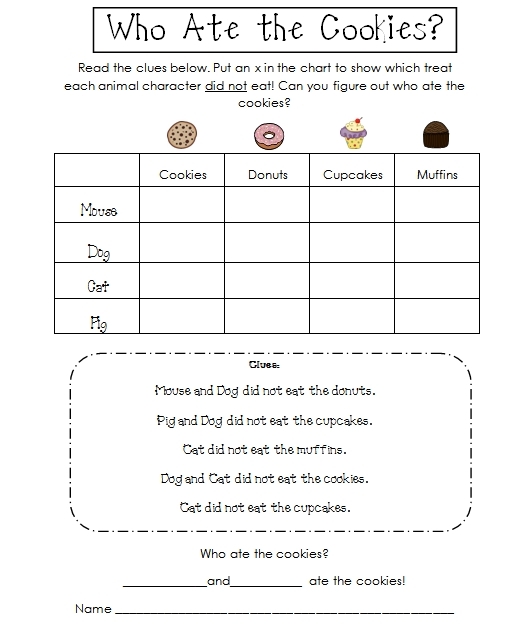 We made shape books for If you Give a Mouse a Cookie and compared cookies using a Venn Diagram. 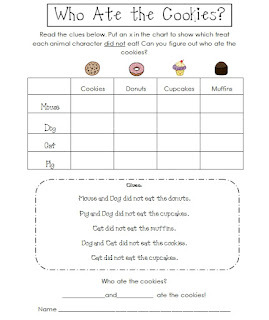 We read a cute poem about chocolate chip cookies and did a sequencing and problem-solving activity as well as many other cookie and chocolate-themed activities! It has been a very yummy month! That are in my TUMMY! 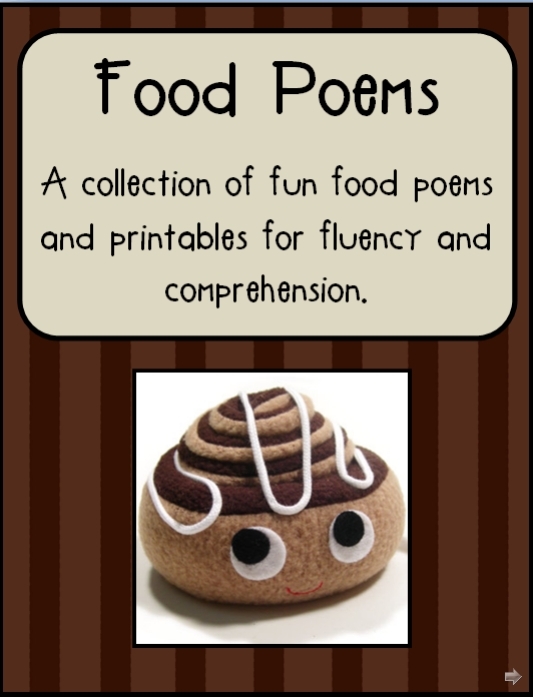 This poem is part of my Fun Food Poems Collection! Here's the link if you'd like to see more! 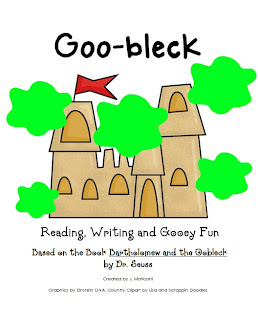 Earlier in the month we celebrated Dr. Seuss Day by reading one of my favorites, Bartholemew and the Oobleck. 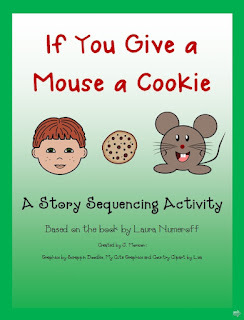 This is the sequencing activity we did to retell the story. The best part was when we made our own Oobleck! It was a good and gooey science lesson. We also did a lot of other literacy activities with our Oobleck story! In keeping with the Dr Seuss theme, we read Oh, the Places You Will Go. We wrote about our favorite books and told about where the setting in that book takes our imaginations! During March Reading Month, I've invited parents, and other special surprise visitors to be our guest readers. 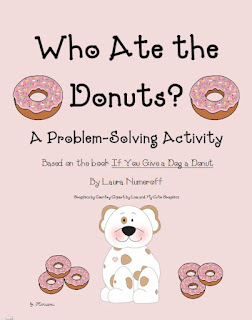 In the invite, I asked that the readers choose props,wear a costume or bring a little something to give to the children that goes along with the story. This has been a blast! Among our visitors were the Superintendent (who read with a pot on his head) the County Comissioner, grandparents and older siblings. Our school arranged for several published authors to speak to the children about their books and how they came to create them. The students have the option of purchasing a signed copy. One of my favorite authors from a previous visit is Rhonda Gowler Greene. 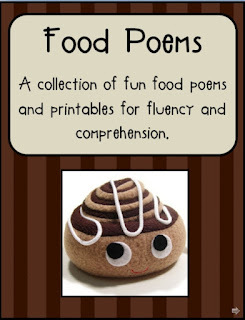 I love her Barnyard Song Book. 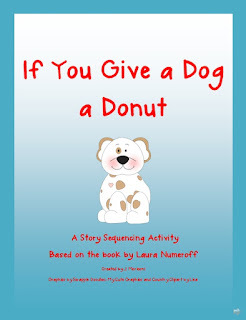 It's a great read-aloud! 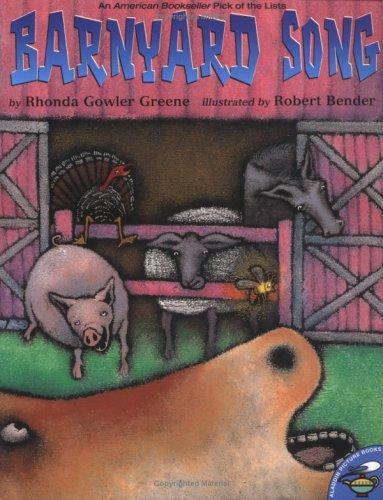 It's about a bunch of farm animals that catch a cold! Our school has some fabulous displays for Reading Month! Check out these great bulletin boards and posters! There are so many to share but these are the only teachers I was able to speak with about posting them here! We are all so busy that we rarely get a chance to see each other! Each staff member was photographed with their eyes peeking over a book. 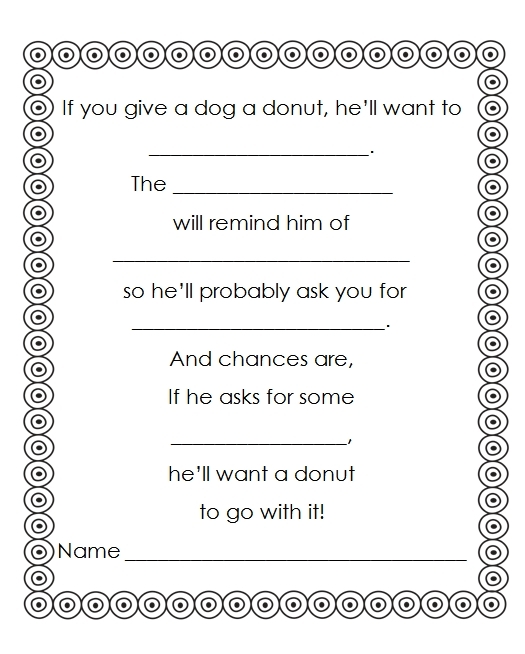 Students have to guess who each teacher is. That's it for now. This has a been a long one I know, but I had a lot of catching up to do and some of you were asking to see reading month ideas. I won't be blogging for a while. Lucky me, I am going to beautiful Holmes Beach on Anna Maria Island for spring break. It's one of the most beautiful beaches I have ever seen~ a little slice of Heaven on Earth! Can't wait! Counting the days! Oh my goodness! 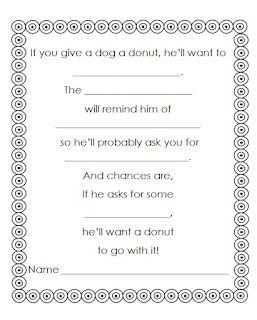 Your If you give a dog a doughnut craft is soooo cute! I am doing it with my kids! 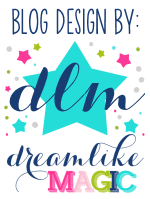 Thanks for stopping by to visit our classroom blog! It's hard to believe that this is my 26th year as a classroom teacher! Most of these years have been spent with the little ones in the primary grades. My favorite thing about teaching is seeing the excitement for learning in my little ones! I love everything cute, fun, colorful and interactive. I am always searching for new ideas, researching best practices and creating my own items for use in the classroom. This is going to be a great year! I'm wild about second grade! Teachers Pay Teachers Freebie License Finally! The children drew these adorable pictures of their family. They are displayed on our "Family Tree" bulletin board. Time to Plant, Grass Heads and a Freebie! I have hundreds of Beanie Babies in my collection and am happy to be able to display some of them on my new reading bulletin board!